limelight creative learning workshops is a partnership created by two experienced, primary school teachers who believe passionately in a creative curriculum and the importance of inspiring young minds. Their belief is that the creative, interactive experience makes learning accessible for all in the educational environment and has an accelerated impact on progress. Limelight can provide that awe-inspiring interactive experience which brings the learning alive and delivers a platform for continued learning. accessible for all in the educational environment and has an accelerated impact on progress. Limelight can provide that awe-inspiring interactive experience which brings the learning alive and delivers a platform for continued learning. experience makes learning accessible for all in the educational environment and has an accelerated impact on progress. Limelight can provide that awe-inspiring interactive experience which brings the learning alive and delivers a platform for continued learning. A great transition workshop for Key Stage 1. 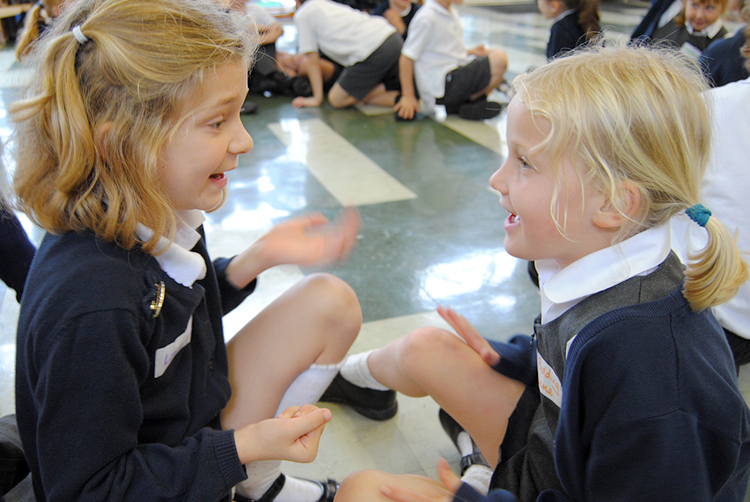 This workshop based around the fun and inspiring text of ‘But Martin!’ explores the realities and changes that come with a new school year whilst working towards Key Stage 1 curriculum objectives. The children will be fully engaged enjoying a visit from Martin the Alien and finally helping launch his flying saucer to send him home. The workshop was a fantastic introduction to our topic... it was ideal as it introduced the areas that we are going to learn more about. The workshop was very exciting and engaging. The children could not stop talking about it and listing the parts of the workshop they loved. An adventurous workshop for Key Stage 1. This workshop inspired by the fantastical text of 'Where the Wild Things are' takes the children on an imaginative and magical journey. A workshop based on traditional tales for Key Stage 1. This workshop leads the children on an exciting journey through familiar fairy tales with some unexpected twists. An exciting topic workshop for Key Stage 1. This workshop takes children back 350 years to the city of London at the time of the Great Fire. The children will recreate a typical London scene in 1666, meet key historical figures from the event and become the saviours of the city using the different fire-fighting methods of the time. Finally the children will be rewarded by His Royal Highness, King Charles II. An enlightening topic workshop for Key Stage 1. This workshop explores the incredible life and work of the important historical figure, Florence Nightingale. A historical topic workshop for Key Stage 2. This workshop is an exploration of all thuings Tudor with a focus on Young Henry's life. A mysterious topic workshop for Key Stage 2. This workshop explores the mystical beliefs and traditions of the Mayan people. A an ancient topic workshop for Key Stage 2. This workshop is a voyage of discovery into the incredible civilisation of the Ancient Egyptians. Maximum number of children = 34. After completing her Drama, Theatre Studies and English degree and a spell in PR, Jodie trained as a primary school teacher while raising a family. During her years of classroom practice she saw first-hand the strong link between creativity and accelerated learning. Based on the success of her ideas in the classroom, Jodie began to explore, together with Emily Debney, the possibility of developing exciting interactive approaches to stimulate learning. 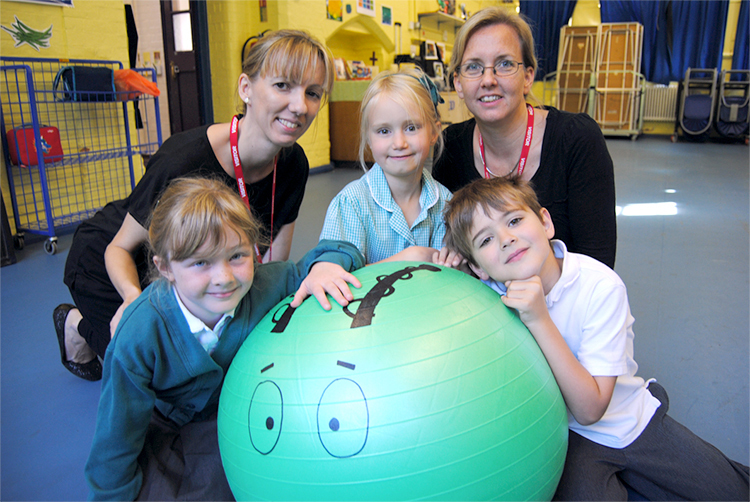 Whilst raising a family Emily trained as a Primary school teacher. As a Drama and Theatre Studies graduate, her early experiences of leading drama groups and working in educational settings fed into her years of classroom practice. She saw clearly the extent to which creativity improved learning. This passion for a creative curriculum led naturally to her present venture of designing drama-based interactive workshops for schools, together with Jodie Taylor. Communication is not only about words and numbers. Some thoughts can’t be properly expressed in these ways at all. We also think in sounds and images, in movement and gesture, which gives rise to our capacities for music, visual arts, dance, and theater in all their variations. 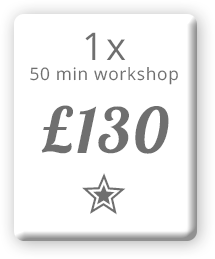 Bespoke workshops available in every category. 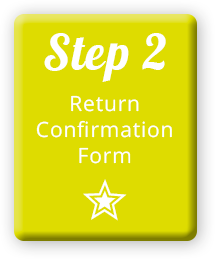 Please read the following terms and conditions and cancellation policy before sending your confirmation form. shall refer to Limelight Creative Learning Workshops Partnership of Forest View, Abinger Lane, Abinger Common, Dorking, Surrey RH5 6JF. 1.1 Limelight’s Conditions of Service shall apply to and govern any Contract between Limelight and the Client to the exclusion of any condition contained on or in any order form letter, receipt acknowledgement, or other document emanating from the Client and no variation of these Terms and Conditions shall be effective unless expressly agreed by Limelight in writing. 2.1 It shall be the responsibility of the Client to immediately give Limelight information required to proceed with the Contract in order to ensure that the Workshop is sufficient and suitable for the purpose or purposes intended. 2.2 Limelight reserves the right to make without notice to the Client any improvement or alterations to the Workshop which it thinks reasonable or desirable and such improvements or alterations shall not affect the validity of the Contract. 2.3 Limelight will provide Workshops as agreed in the Terms of the Booking Form and will not allow extra classes over the original number booked for unless by prior written arrangement with Limelight. 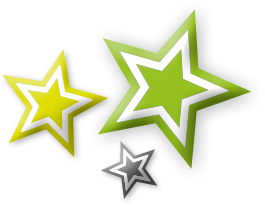 2.4 Limelight will provide Workshops as agreed in the Terms of the Booking Form and will not allow extra students over the maximum number per session unless by prior written arrangement with Limelight. 3.1 Any quotation or estimate provided by Limelight, whether written or oral, shall be deemed to be an invitation to treat and not an offer. The placing of any order, whether written or oral shall constitute an offer by the Client and no acceptance shall be binding upon Limelight and no Contract shall come into existence unless and until Limelight have confirmed acceptance of the Clients booking in writing. 3.2 Payment of all sums due to Limelight on completion of the workshop(s) shall be made in full within 30 days of the date on the invoice which shall be rendered to the Client ("the Due Date"). 4.3 If the cancellation or postponement takes place 1 week or less before the planned date of the Workshop the Client shall be liable to pay 100% of the full service fee. 4.4 In the event that the Client cancels or postpones the Workshop, Limelight may elect to waive any of the above cancellation provisions if an alternative date can be made for the Workshop, entirely at the discretion of Limelight and Limelight are not bound or due to make this offer. 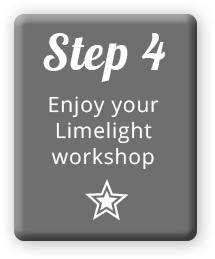 4.5 Limelight will aim to reschedule a Workshop if Limelight is forced to cancel or postpone the workshop for any reasons. iv. any claim made against Limelight by any other party. 5.2 Save where Limelight is liable for death or personal injury, Limelight’s entire liability shall in any event be limited to the value of the Contract. Without prejudice to the generality of the foregoing provisions Limelight shall not in any event be liable to the Client in Contract or tort or otherwise for any indirect or consequential loss or damage whenever or howsoever arising. Any Contract Limelight has with the Client shall be operational upon an order by order basis. Nothing in these terms and conditions shall imply any continuous relationship between Limelight and the Client. b. Should the Client be in breach of any term of the same or any other Contract with Limelight. No forbearance or indulgence by Limelight shown or granted to a Client whether in respect of these terms and conditions or otherwise, shall in any way affect or prejudice the rights of Limelight against the Client or be taken as a waiver of any of these standard conditions. Limelight shall not be liable for failing to perform the Contract whether wholly or in part if the failure is caused wholly or partly by any circumstance or circumstances outside Limelight control. Limelight and the Client agree that if any term of this Contract shall be adjudged by a Court of competent jurisdiction to be void or unenforceable but would be valid and enforceable if some part or parts thereof were deemed deleted or if it were deemed varied or modified in some way then such provision shall apply with such modification or variation as shall be necessary to make it valid and effective. The numbers and headings in these conditions are for ease of reference only and do not form part of them for the purpose of constructions. 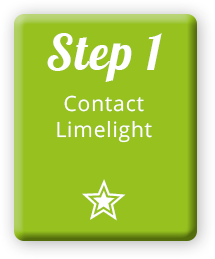 Limelight shall be entitled to assign sub-Contract or sub-let this Contract or any part thereof. The Client shall not be entitled to assign this Contract. No drawings, descriptive matter, issued by Limelight, nor the descriptions and illustrations contained in Limelight’s publicity material or other professional material or details on the Website will form part of the Contract nor be regarded as a warranty or representation relating to the Workshop. These terms and conditions are governed by and are to be construed in accordance with English law and are subject to the exclusive jurisdiction of the English Courts. Limelight does not allow video recording of any Workshop. Photographs may be permitted if agreed by Limelight.